Service Experience Camp 2014 (SXC14) was a two day camp organized by Berlin based service designers on September 13 and 14, 2014. More than 200 service designers, experts, students, and enthusiasts from various countries participated in the event. The theme for SXC2014 was ”Bringing Services To Life”. The focus of the camp was on the implementation of the service design principals in various industries. Keynote sessions, where industry experts shared their service experience with the entire audience. There were few keynote sessions lined up every morning and evening. Bar camp sessions were the back bone of the event. In bar camps, experts presented/co-created a service experience session with a small group of audience. Any one could nominate to host a bar camp or participate in one. Networking sessions were the third part. During lunch and coffee breaks and in the evening after the closing of the bar camp session, participants mingled together and exchanged thoughts. 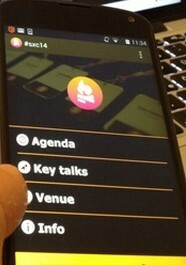 SXC14 had an Android and iPhone app with information about the sessions, map of the facility, lunch timings, and other information. The app was built by Futurice in just two weeks using the agile software development principals. Screenshot of the SXC14 application. 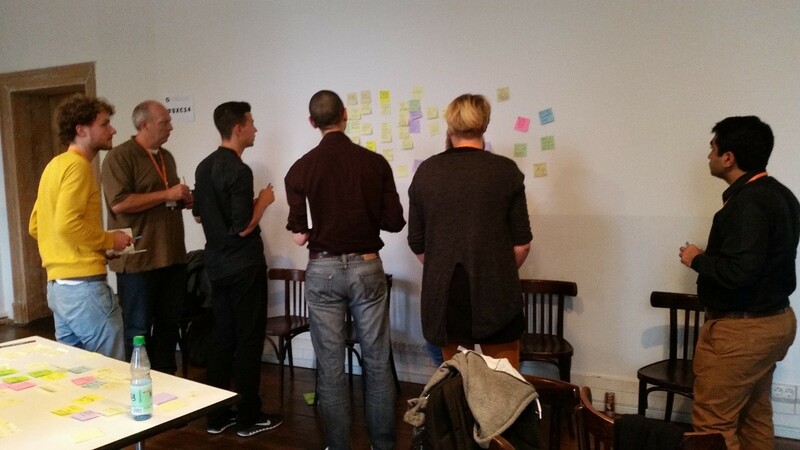 Many experts from various industries were at SXC14 to share their experiences on Service Design implementation. Below are the some topics I found interesting. The man power ministry started to recreate the application process experience for both customers and staff. Its main features were rapid prototyping – Designing space around the people who are at the heart of the process and highly personal touch – Ticket addressing by name and not by number. After redesigning the service, the customer satisfaction level increased from 20% to 96%. The old work pass system moved from lost, confusing, and anxiety to more informed, aware, and calm customers. Another improvement was made in the forms and the letters which were cluttered before. MOM adopted a new tone of voice moving from legal language to user friendly language. Important to note that MOM achieved a revolutionary change in the customer experience but without losing efficiency. Using Service Design methods result in both satisfied customers and staff who now focus more on the service creation than service recovery. The presentation is available here. BSR also works with students. It doesn’t give any guidance and let them do what they want. BSR’s Challenge is that enterprises don’t work together. For example other utility companies like electricity, water etc. don’t coordinate with each other well. How is it possible to convince 1m tourist per year to avoid waste and to minimize littering? In future different prototypes will be tested. Conducted workshops with the senior and disabled persons. Prototypes of different bins were tested. Modifying the bins was expensive but using same bin at angle solved the problem. Accessible bin under testing. Source: BSR presentation. Nobody wants to touch the lid of the bio waste as it gets dirty. A simple solution to have foot lever for the lid was tested. People usually throw the plastic and pet bottles in the landfill waste box or in the energy box which causes harm to the environment. A simple and cheap water deposit box bas tested in the Idea Lab. New deposit box for pet and plastic bottles in tests. Source: BSR presentation. Don’t build start-up, build business. Start-up should be based on some value proposition to customers. Development team is not aware of the customer needs. They just build whatever is told to build. Development teams also do not like to see the users. Marketing is important. Small market or early or late entry effect product success. Customer does not return. Once you had superb experience at a coffee shop, you may still not come back to the same shop. Start-ups runs out of money. Watch out for spending on hiring resources. Hire less, hire late. Computers science’s user experience (UX) design is closely related to Service Design. Computers also opens up new service touch points. For example, many mobile operators have a new service touch point “online storage”. Deutsche Telekom is one such company to offer online storage. Computer technology shapes the experience and service in the background. Computers are involved in almost every transactions. According to Google’s chief economist, computers can improve service contracts. For example car insurance contract can be based on driving style. Driving style can be monitored using a small computer fitted in the car. Amazon has recently filed a patent for “Anticipatory Shipping”. Amazon develops a technology to ship products which it anticipates what users are going to order. Such shipped product can be staying in the warehouse or delivery truck waiting for an order to be fired. For example amazon can monitor user’s behaviour of ordering toilet paper and it anticipates the next order. “Anticipatory Shipping” is win-win to both provider and consumer as consumers. Computer can also change how the voters are influenced. From the data analysis, voter modelling is performed and SMS are sent to supporters with the contact information of the other potential supporters. These supporters call the potential supporters. This practice is debatable on ethics ground as people are tracked. However, sometimes we trust and disclose more information so that we can get discount or get help. For example we disclose as much relevant personal information possible to the doctors. Using computers in services, the entire relationship between producers and consumers can be monitored now. For instance in call taxi service, the service provider (taxi) is also monitored. Monitoring transactions lead to a different economic model. For example car sharing service car rentals, health care systems, food, and fashion industries are coming up with new service models with the help of computers. Accenture acquired Fjord, a UK based design consultancy, in 2013. Scott from Fjord shared his experiences about the merger and how future looks like from his perspective. Fjord has around 250 employees and Accenture has over 250,000 this means one Fjord employee per 1000 Accenture employee. Accenture brings international exposure with diversified clients to Fjord and Fjord brings unique experience in design to Accenture. Roskilde Festival is Europe’s largest cultural festival. It hosts more than 100,000 people. Planning for the festival starts one and half year before the festival. There are 65 full time employees and during the festival roughly 30000 volunteers help execution of the festival by raising tents, providing security etc. 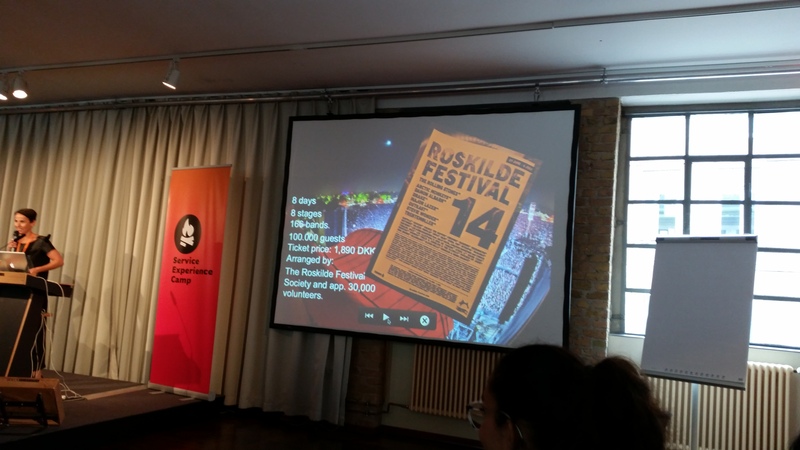 Roskilde festival transforms its open area into the 4th largest city in Denmark. #1 Everyone in the organization know the reason why they are at the festival. By treating people as community and not as guests, they become more creative and participant. The festival organizers believe in people, community, and doing it together. #2 Participants do everything from arranging and contacting authorities, communicating to media, and cleaning toilets. #3 Organizing team are willing to take risks and lose control. When strong fence was put to protect the area, people used to break it and ran into the festival area before it was ready, now only a string is put instead of fence, and surprisingly no one breaks the string. #4 The team kill their darlings & work with a fast track of changes. For example, cinema and stages are closed if they don’t work out for good. The team also changed its working style two years ago. The festival is trying out new tents. #5 The organizing team put the participants first. Back in time, the ticket buying used to start long ago from the festival date. The reservation of the tent area used to start just before the festival. This lead to chaos. Now the ticket and the reservation of the tent area can be done at the time of booking. Thomas listed some service innovations very useful for the cruise ships. 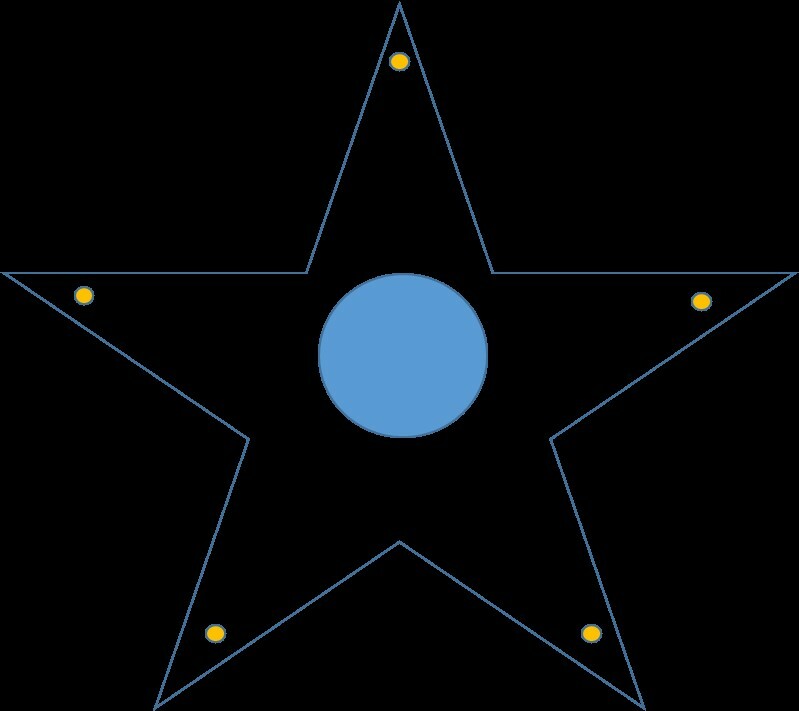 Rough sketch of a Star Bar. 200 people can sit at the counter. Served by highly trained bar-tenders who can mix 4 cocktails at a time without moving much. Ship card is linked with the credit card. The first event on the ship is emergency exercise, which often takes place at decks at 30 degree Celsius. Guests also need to wear life vest. This is mandatory by the law but it is very uncomfortable to the guests. Jens having expertise in both software development and service design processes, could come up with points that brings service design and agile software development together. He brings out similarities between the two. Software is moved from ‘Software as a Service’ to ‘Software is a Service’. For example Deutsche Bahn (DB) bike rental service uses software as various Touchpoints. The main role of software in such services as bike rental is to enable Self Service. The agile software development started to reduce the risk. It moved from Waterfall Model, which is a big jump from inception to product deliver to Iterative or Agile Development, which is step by step development. The Upper Arc represents big jump (Waterfall model) from start to end, the bottom smaller arcs represents step by step method (Agile model) or iterations. – Service Blueprinting. It brings different verticals of an organization together. 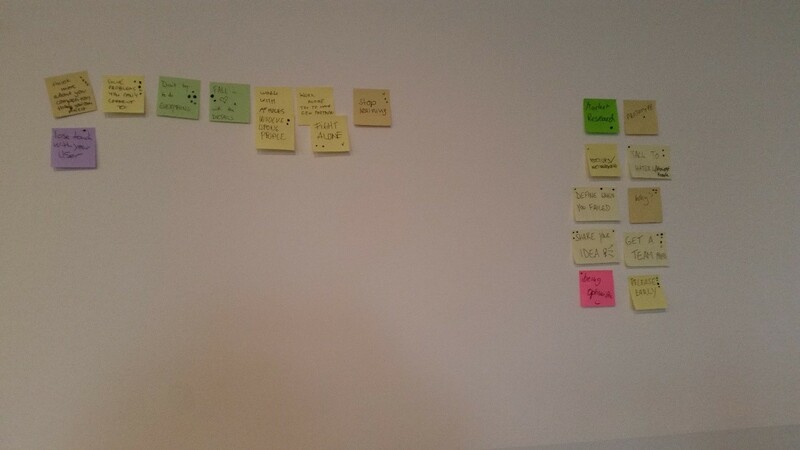 The present software development process are getting closer to the double diamond process of service design. Roughly 20 participants brainstormed together with the aim to find do’s and don’ts of reaching from Idea to Implementation. We used brainstorming technique. The participants were divided into two groups. One group thought of do’s and the other thought of don’ts. The groups then changed the sides for Do’s and Don’ts. 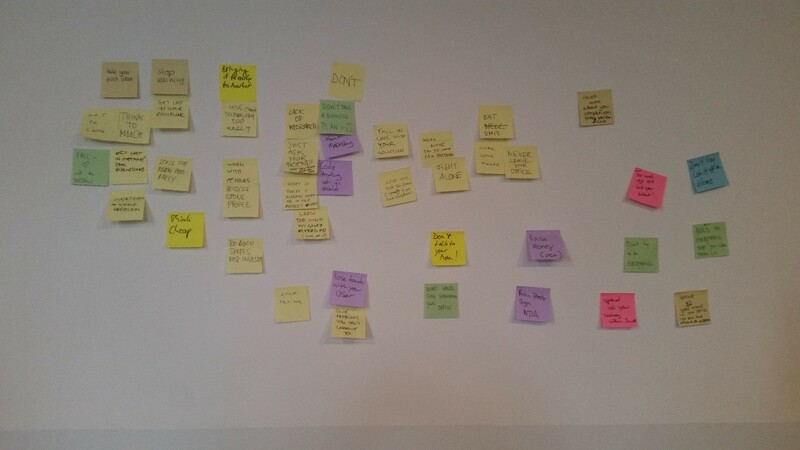 After the thinking process, the grouping of the Do’s and the Don’ts was performed to eliminate the duplicates. After the grouping and elimination, everyone voted for the do’s and the don’ts to find out the most popular ones. What is the difference between the Personal Relationship (PR) and Community Management (CM)? PR informs to media, whereas CM facilitates active participation. CM creates active participating circle, which is a two way of info flow. PR is one way of waterfall of information. Talk about benefits, not features. Community manager’s role is to explain how the service helps them personally, and not what service can do. Don’t Pitch – Be reactive to what people say. Everyone wants to be heard. React to people’s needs. Try to help them. When your service isn’t the answer, point them to the right direction. This helps in building connection by helping people find what they are looking for. If you don’t tell what you are passionate about, you don’t find people (for community building). We sometimes make mistakes. Ask for the feedback. It is hard to push feedback though therefore, filter and find problems from the feedback. Community managers are part of the product team. Beware of community hacking – Make companies work based on fake recommendations. Siting long hours or doing demanding sports require right stretching techniques to keep you going. Miya introduced some important stretching exercises. 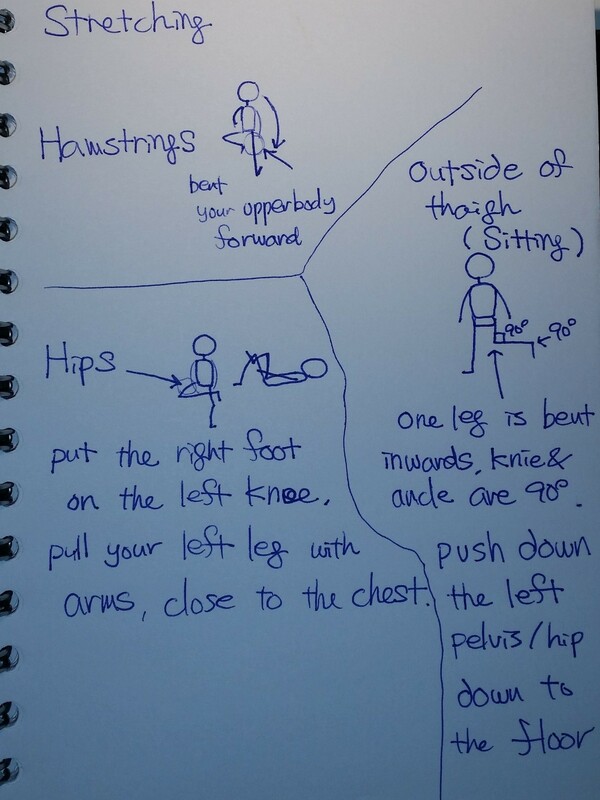 She was kind enough to draw three most important stretching exercise for people who sit for long hours. The first part is to stretch hamstrings. Bend forward as much as you can, take your breath out. Stretch as long as you can. Breathe normally while in stretching position. Bend back to the normal position, take your breath in. Repeat with other leg. Repeat 3 to 6 times. Hips stretching is performed in lay down position. Put the right foot on the left knee. Pull your left knee with arms while taking your breath out. Hold the position for a while, breathe normally. Release your knee while taking your breath in. Repeat with the left foot. Bend left leg inwards. Ankle and Knee are at 90 degrees. Push down the left pelvis/hip down to the floor. Repeat 3 – 4 times. 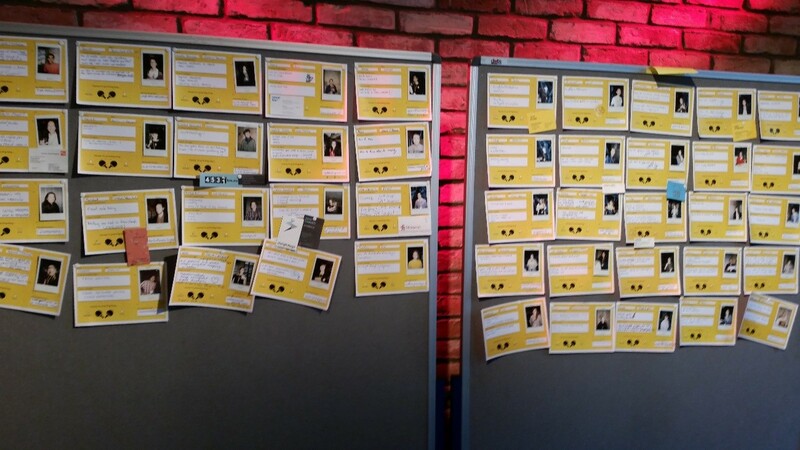 A big wall at the venue was made as networking wall. Almost every participant pasted a postcard with a cool photo of himself/herself with contact details and what he/she wants to learn, and what he/she can teach. 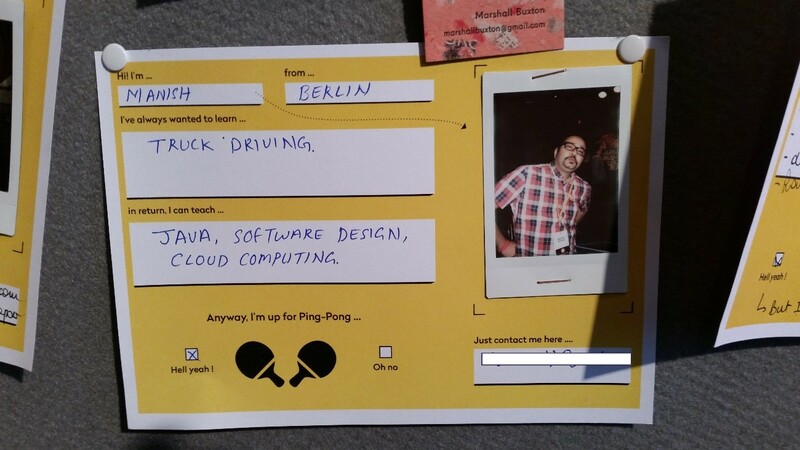 My post on the networking wall. 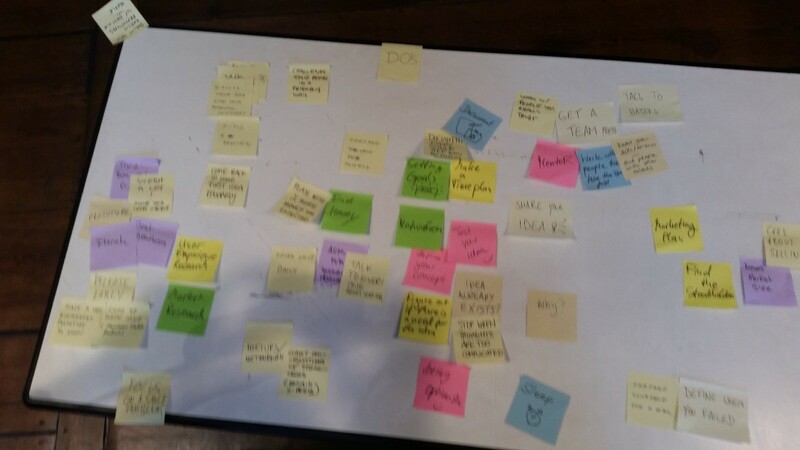 It was fun to participate in the event with insights on service design implemation practices in various industries. The event gave opportunity to network with the like minded people. Hey, thank you for a great summary. I have missed this years’ event do to the contact session at Laurea so it was great to read your walk through the camp. Attitude matters in lean thinking: learn to fail fast for success!